Professor Pineda has mentioned several times the value of having experience with a variety of skills and activities as the vast knowledge base can be helpful when it comes to writing. I definitely agree with idea, although there’s nothing wrong with doing a little research and writing beyond your experience either. Anyways, I thought I’d write about some of the skills and knowledge I’ve acquired that’s helped me with writing my novella. Dogs play a prominent role in my novella and there are many of them. And it’s no secret that I’m a bit dog-crazy. I’ve loved dogs from a young age, although I was afraid of them until about first or second grade. For many years, I read only dog or animal related books, both nonfiction and fiction. As I grew older, my tastes branched out and my interested refocused themselves elsewhere. In the past couple of years, I’ve sort of relapsed into this dog mania. This is largely due to my entrance into volunteering at animal shelters, and recently, working at a dog boarding place. These experiences have not only required me to study-up on dogs (I currently own three dog breed encyclopedias), but also have given me new insight and perspective on dog behavior as well as human interaction and treatment with dogs as well as other pets. I’ve encountered a lot of wonderful dogs along the way, as well as quite a few awful ones who are purely a product of their environment and those who’ve been caring for them. Most of the dogs in my novella are inspired by dogs I’ve interacted with. Some I have very special, long-lasting relationships with, while others I’ve only met in passing. Just as MJ has a very special place in her heart for her two dogs, I hold the two dogs that inspired this very dearly in my heart. Their names were Korey and Kosmo. I did behavior training with them in an animal shelter I volunteered at during Summer 2013. They’d been there for a year by the time I started working with them. They were incredibly shy and disinterested in human interaction, but when the were out in play yard, they were very happy, relatively normal dogs. Over the months I worked with them, seeing them four times a week, they warmed up to me and they definitely began to recognize me and would get up to greet me when I walked by their pen. For a while, it seemed hopeless that they’d ever find a home and I dreamed of one day adopting them. I even came up with new names–Orville and Wilbur (Oreo & Willie for short) after the Wright Brothers, because I knew the dogs would “take flight” or come out of their shells in good time. I cried tears of joy when I heard through a Facebook post that they had been adopted. Their owner occasionally posts videos of them on YouTube. It is a huge joy to see how much less afraid they’ve become. Raven was an actual dog I knew briefly at the shelter. She was soon adopted. 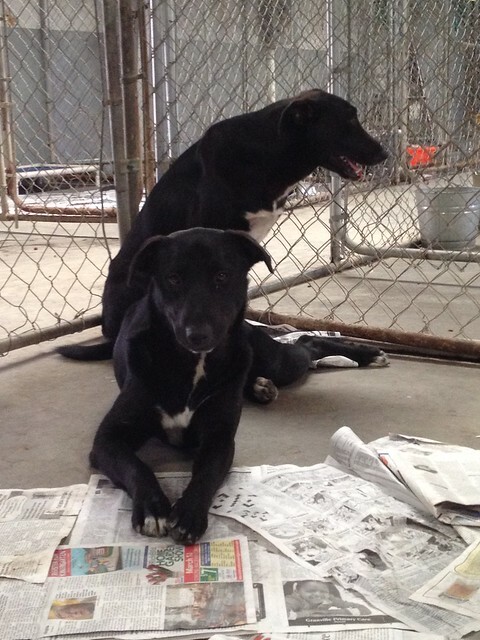 She had come in with a litter of five puppies who were black lab mixes. Since she had red fur and her puppies were either black or brindle, it was evident that multiple dogs had fathered the litter. The shelter had the habit of assigning a litter a letter so that all their names would be similar and their pictures would appear together on PetFinder. If a mother came in with them, then the first letter of her name would match the first letter of all her puppies’ names. While this is a great way of grouping them and knowing who belong together, it’s also incredibly difficult to tell them apart or keep track of their names. I worked an Adopt-A-Thon with her litter of puppies, so here is the gang (plus a cute hound puppy) that served as my inspiration for the history of Oreo & Willie. I mentioned one of the litter mates of Oreo & Willie being a shy brindle female named River. She was based off of a Catahoula Leopard Dog mix named Kimee who was very shy but eventually got adopted when a guy saw her story online and felt called to adopt her. 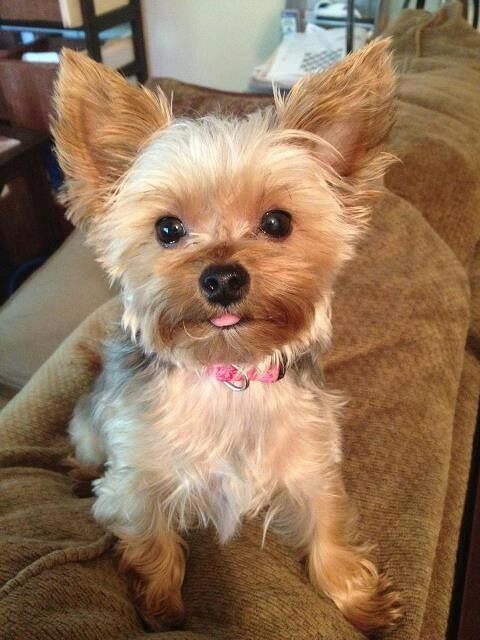 Zoey West’s three Yorkies are based off of many dogs that I have encountered over the years. I’m not a huge fan of small dogs, as the way owners often treat them leads to them having some really terrible behaviors. They also can be very neurotic and needy, which is both entertaining and frustrating. Many of the small dogs that I’ve encountered while working at the dog boarding facility were very upset to be away from their owners. All they wanted to do was to sit in someone’s lap or be held. They weren’t really interesting in playing or exploring the play yard. My boyfriend’s family has a Yorkie named Wally who is very neurotic and needy. Storms freak him out a lot. When other small creatures, such as toddlers, are receiving attention from his owners, he is completely beside himself and is very unhappy. It’s hilarious in many ways. Esther and Joshua aren’t based off of any dogs that I know specifically. Although “Joshua” is the name of a childhood friend’s Shetland Sheepdog that played an important role in my decision to ask my parents for a Sheltie of my own for my ninth birthday. However, in this story, Joshua is a border collie, because I wanted Nana to have some typical rural, working dogs. 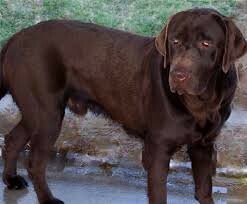 Labs are very popular dogs, but I don’t see Chocolate Labs as much as I see yellow or black labs. So I thought it would be interesting to have Esther be a Chocolate Lab. Labradoodles are Labrador Retriever and Poodle mixes. They’re known as “designer breeds.” There was a doctor who lived in my neighborhood growing up and he got a Labradoodle for his family and used to run with it all the time. I’ve heard they’re great family dogs, so it seemed like the perfect canine companion for Thom and his supposedly perfect suburban American family. Jacob’s two dogs will be introduced shortly. I thought it would be fun to have their names be in reference to The Beatles. Sgt. Pepper is a Harlequin Great Dane, which I think is just a gorgeous animal. I’ve only met one Great Dane before and they’re basically elephants who think they’re lap dogs. I love watching them lope around an open space. The one Great Dane I knew, Zoey, was at the animal shelter several summers ago and then this past summer she was staying at the dog boarding facility where I worked. She liked to park her hindquarters on my lap, with one hind leg lifted off the ground, and just hang out. 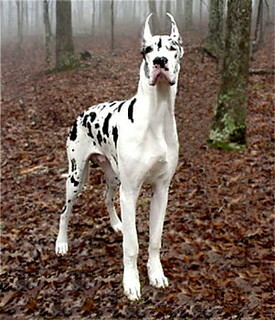 She was such a sweetie, and only furthered my desire to one day own a Great Dane. However, she was a Blue Great Dane, which means her fur was a grey color. Jacob’s other dog is a retired racing greyhound that he rescued. I also would love to rescue a retired racing greyhound. I love how greyhounds are both speed demons and absolute couch potatoes. This Doberman Pinscher has a pretty small role in the story, but is inspired by a Doberman I met at the shelter named Regina. She was the sweetest older lady and nothing like the scary guard dog that we often make the breed out to be.